How many of us find ourselves struggling to sleep in spite of having a long day at work? Undoubtedly, sleep is the most refreshing, comforting, and one of the most essential things for survival. We spend roughly one-third of our lives asleep. Not getting a good night's sleep can make you irritable, anxious, depressed, and more prone to developing aches and pains. Studies have proven that seven to nine hours of sleep is essential to decease stress overload. Get regular exercise. Try atleast 30 minutes of cardiovascular exercises like walking, jogging, or cycling daily. Exercising daily helps in the release of endorphins (feel-good hormones) which decrease stress and encourages good sleep. Avoid high-carb snacking at bedtime. Maintain at least 2 hours of a gap after having carbohydrates or sugar. Avoid drinking fluids at night. Drinking fluids in the first half of the day is better as compared to drinking in the latter half which stimulates the urge to urinate in the middle of the night, and hence disturbs sleep. Avoid napping during the day. It has been found that people who nap during the day have more difficulty falling asleep at night. Set a routine schedule. Maintain a routine set time to sleep and wake up every day. Avoid caffeine and alcohol. Alcohol may help to sleep initially but can make it difficult to sleep the next night. Caffeine is a brain stimulant that interferes with good sleep. Both are diuretics and hence may cause the urge to urinate in the middle of the night. Select a peaceful place to sleep. Create a quiet and a cozy place to sleep in. Do not have elaborate decorations and bright lights in your bedroom. Try limiting the use of televisions, laptops, and cell phones in this room. Use a comfortable mattress. If you are finding it uncomfortable to sleep on the mattress you are using currently, then it's the right time to buy a new and a comfortable one. Pamper yourself. Having a nice bath with aromatic bath oils could help relax your mind. Listen to light soothing music. Try some light stretching while in bed. Stretching relaxes the muscles and hence helps with a good night's sleep. Avoid the usage of TV and computer at least 30 to 60 minutes before bedtime. Try these tips and wake up fresh to face the new challenges for the next day! 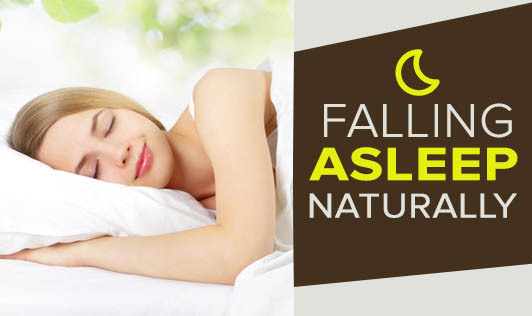 Sleeping well can completely rejuvenate you.